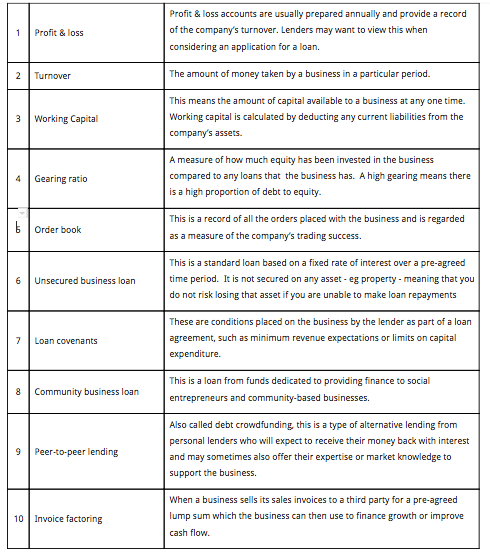 Knowing the right business funding jargon | REVEALED! Don’t you ever wish that the financial landscape could be a little, well, easier to understand? There are so many products to look at, and it can be difficult to compare like with like. Many products have reams of jargon attached and we reckon that some of the best providers of alternative finance are those that keep their communication as simple as possible. When you are under financial pressure, and looking for additional business funding, you don’t need to get lost in translation! So for a bit of fun we have put together a list of business jargon. See how many of the following ten terms you think you know then scroll down to check your answers! .So, how did you do? 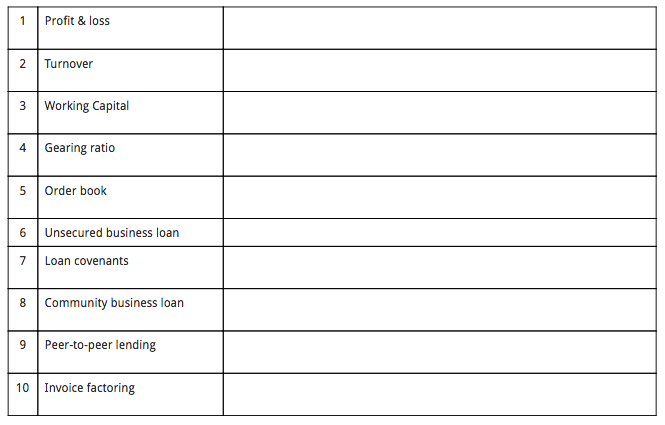 Below is a list of definitions for each of the terms. We will do our best in this blog to keep you up to date with financial developments relevant to small businesses, do let us know about any topics that you would particularly like us to cover and we will do our best to oblige!